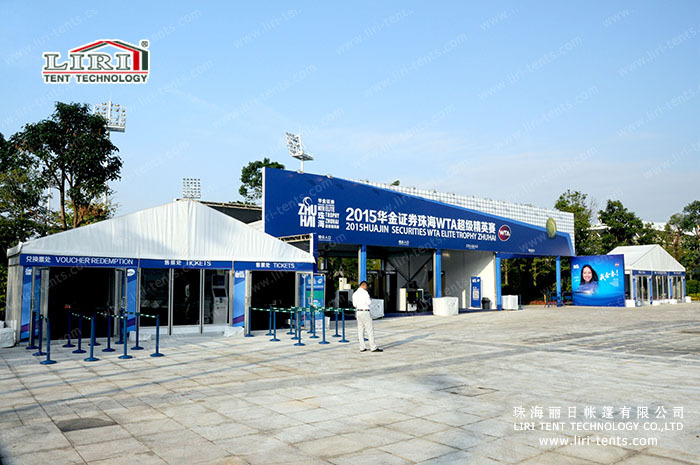 WTA ELITE TROPHY ZHUHAI 2015 was held from November 3rd to 8th, 2015. More than 20 tennis supper stars came to Zhuhai city, CN for wonderful tennis competition. They are Venus Williams, Sania Mirza, Caroline Wozniacki, Karolina Pliskova, Flavia Pennettta, Agnieszka Radwanska, Laura Robson, Elina Svitolina, etc. Finally, Venus Williams is the last one the match and won the champion. Liri Tent, as China largest tent manufacture as well as Zhuhia local base, is the official sponsor for the WTA Elite Trophy. Liri Tent company also support many different kind of tents,including High Peak Tent,Polygon Tent,Arcum Tent,A-Frame Tent,from 5m clear Span small tent to 20m clear span big tent,which is used for security check,certificate ccenter,sponsors exhibit area,news center,temporary office,VIP restaurant,backup area and so on.Accessories are offered including AC,flooring,furniture and so on. 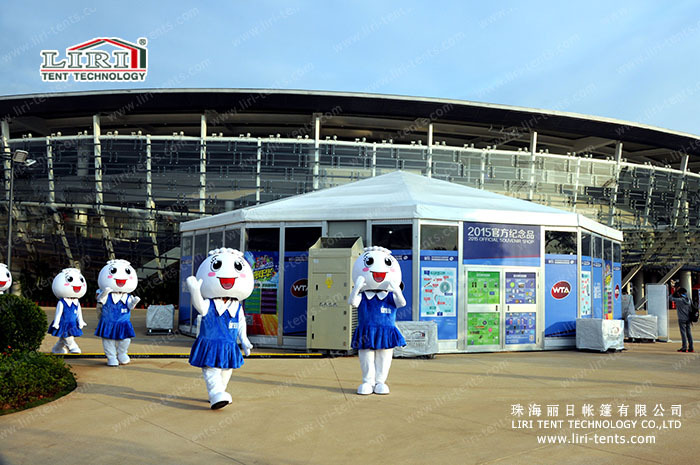 Liri Tent offer a comfortable working place and a wonderful match viewing experience for staff and audience. 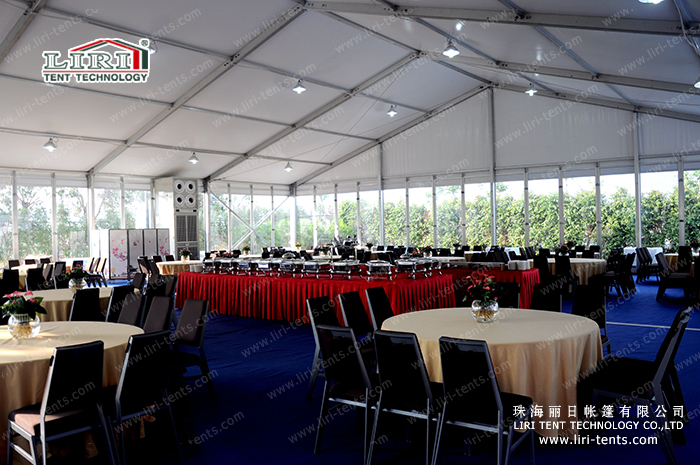 With rich tent solution experience for sport events like 2010 Guangzhou Asian Games, 2014-2015 China Open Games, 2015 Beijing World Championships, 2015 Longines Equestrian Masters. Liri Tent is your trusted tent partner.